In case you haven't been following the devastating story of Saudi Arabia journalist Jamal Khashoggi, he recently disappeared from the Saudi Arabia embassy in Istanbul. Khashoggi didn't just disappear; he was abducted by a death squad of approximately 15 men who arrived in Istanbul from Saudi Arabia in a private jet. The death squad allegedly tortured Khashoggi to death. News of his death spread earlier this week when one of the men who witnessed the assassination released a recording of Khashoggi's death and told the press everything he knew. It took seven agonizing minutes for Khashoggi to die as one of the 15 men used a bone saw to dismember the journalist while he was still alive. The source who reported witnessing the event said he knows it took seven minutes for Khashoggi to die because that is when his screams stopped. The release of the tapes to a select few media organizations and the story of his death drew outrage prompting some people to find out the identities of those 15 men who arrived on the flight to Istanbul aboard the private jet. The whole death squad was doxed with photos of each of the men's identification documents being published online. 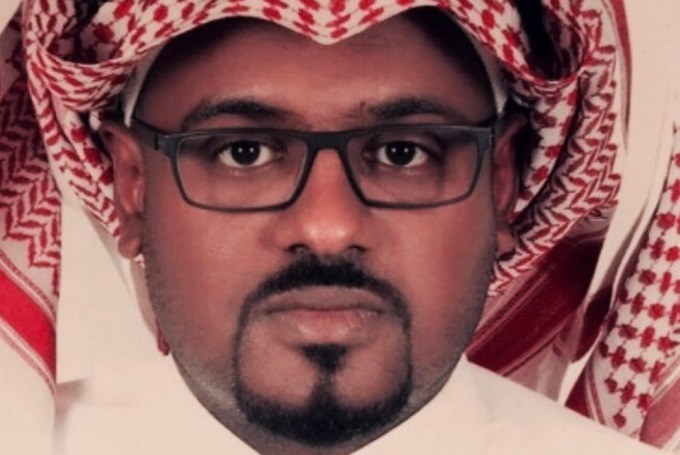 Now, it seems one of the men who was identified to be in the group of 15 men who carried out Khashoggi's murder has died in a car accident. He was not a thug or a gangster but rather a Saudi Royal Air Force member named Meshal Saad Al-Bostani. An article from a Turkish newspaper that strongly supports Turkish President Recep Tayyip Erdogan announced Bostani had died in a car crash but did not specify a time or the place of the fatal accident. The same Turkish newspaper published a Surveillance footage still frame showing Khashoggi walking into the consulate in Istanbul on October 2. He was then abducted within hours but this time the security cameras were "not operating" according to local officials. Of course, Saudi Arabia denies any involvement with Khashoggi's death and has covered its tracks well considering their massive influence and virtually unlimited wealth. The situation has led to a conflict between those who support President Trump and those who think Saudi Arabia should be held accountable and in the very least has some answering to do. Reporters for the Turkish papers reported and described the audio recording of Khashoggi's death, but Turkish intelligence has yet to acknowledge the information or share it with the U.S. despite the two countries being NATO allies that share extensive agreements to share intelligence. U.S. President Donald Trump asked for the tape on Wednesday saying, "We have asked for it if it exists. I'm not sure yet that it exists. Probably does. Possibly does." The Committee to Protect Journalists issued a report last year that showed Turkey was the most dangerous place for journalists with it having the highest number of journalists in jail. Very few independent media sources exist in the country. The journalist's death has sparked enough outrage, and there exists enough credible evidence to suggest he is truly death that <a href="https://www.theguardian.com/world/2018/oct/18/liam-fox-pulls-out-of-saudi-event-over-alleged-of-jamal-khashoggi?CMP=Share_AndroidApp_Tweet">both the UK and the U.S.</a> pulled out of a major economic forum taking place in Saudi Arabia known as "Davos in the Desert". The decision to pull out was a direct result of Khashoggi's death. UK trade secretary Liam Fox and U.S. Treasury secretary Steven Mnuchin joined key European partners in pulling out of the forum in a move of solidarity. The death of the journalist has caused enough public outrage that citizens are demanding justice from their respective nations' leaders. Democrat Sen. Chris Murphy of Connecticut said Wednesday, "Let's be honest, the Turks have leaked some pretty serious allegations through the press that they have not been willing to make public. There are not a lot of clean hands. We should acknowledge that most of what we know is through leaks from the Turkish government," he continued. "At some point, the Turks have to give us exactly what they have instead of leaking all of this to the press." According to the Daily Beast, "two sources familiar with the version of events circulating throughout diplomatic circles in Washington" saying that Saudi Arabia planned to pin the murder of Khashoggi on one of their own, "a Saudi two-star general new to intelligence work." Trump suggested that the 15 men were "rogue killers" and perhaps not government assassins. US Secretary of State Mike Pompeo visited the country this week and said that the Saudi's would not discuss the case. If only we had gotten 1/10024th of this response to the brutal much-more-than-7-minutes torture and death of our Ambassador in Benghazi. This reminds me of the time the NSA killed Putin's favorite driver, by attacking his car's electronics. his mercedes was hacked because he had an ounce of humanity left.